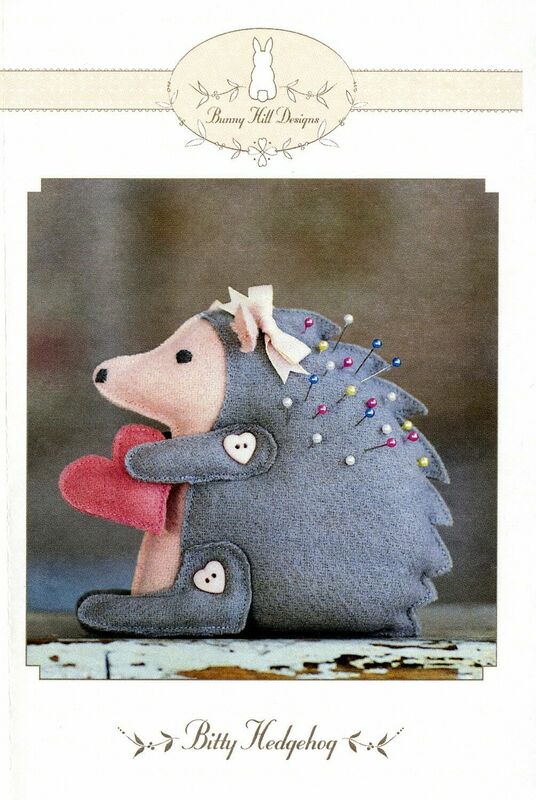 Create this cute little hedgehog for your sewing room or studio! She'll hold your pins and her heart will hold your needles. Easy construction makes this a FUN project. Finished Bitty Hedgehog pincushion measures approximately 6" x 4 1/2". "When life goes to pieces- start QUILTING!"